I’m feeling some love from visitors subscribing SiteFever RSS With more love.. i am motivated to post more 😀 Thanks everyone. As i’ve been always recommending, by providing Full RSS Feed, your visitors do not need to visit the site daily, able to read everything aggregated in their RSS Reader and i dont mind as long as readers feel that my article is useful. My previous post mention about the misconception of making money online when people trying to start an online career. There are actually many ways to start off your online business career. I will split Ways Of Making Money Online into 3 main types. Now… we are talking about legitimate ways to earn money online, not ways of scamming online 😀 Since people will commonly associate online business with online e-commerce business. I will start off with buying and selling of products and services online. Sell own products online. Suitable for people already have physical store. Sell eBooks/Information. Compile your knowledge. Anyone can try to make their own ebook, especially great for writers. You compile data, info found online into reports. Sell stock photos/images. Suitable for photographers. Sell Websites. Develop websites according to current popular niche and sell them. Sell your junk in your house! No more junk? Sell your friends and relatives junks! No more… sell other peoples junks. 2nd-hand market is a big market out there especially you are selling them without geographical limitation. It is a junk in US but could be a rare stuff in Latin America. Resell products. Buy products wholesale and markup the price by a little. Dropshipping. Similar to resell but it is better as you do not need to hold inventory. Resell webhosting. If you have a little more technical skill. Resell server and webhosting. Resell Content/Scripts/Data. There are many people out there offering resell rights of their content, scripts and data. Resell Websites. It can be turnkey sites that you get from elsewhere or website flipping. Purchase a potential website, flip it later for profit. Resell Domains. You can be a domain reseller helping others to register domain. Or register/buy potential domain in secondary market and resell it at a later point. Freelancing. Provide programming, web/graphic designing, writing services. Script Installation. Not everyone is technical enough to setup/configure script for their website especially those open source scripts where support is minimum. This can be a niche. Support Service. It can be server hosting support, forum support, live support.. some people hire support because they are not knowledgeable enough, some just want to save time. Data Mining. Helping others to gather data of a certain niche. Virtual Gold Farmer. Earn As You Play 😀 Online gaming has created this industry. Earn virtual game money/ items and sell for real cash. 2 main typical avenues to find opportunities of the above buying and selling are auction sites and forums. Auction sites such as eBay provides a huge marketplace for buyers and sellers. Such sites even provide easy tools to setup online store through them (eBay store, Amazon store). For forums, there are lots of large forums of various niche (webmaster forums, webhosting forums, automotive forums, gaming forums …). Specialize on a niche, you can easily find your target consumers there. You never know when a lurking visitor becomes a customer utilizing your service. Check out my next part of Ways Of Making Money Online. Wait! You had a contest running some time ago? Why did it disappear? 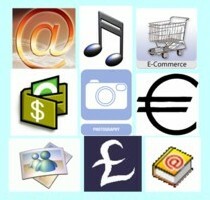 One of my Friend Asked me to Read Your Post on “Ways Of Making Money Online Part 1 – Buy/Sell Product/Services”. Your Post is Well Written. Thanks . I love to Read Posts on “Making money online”.